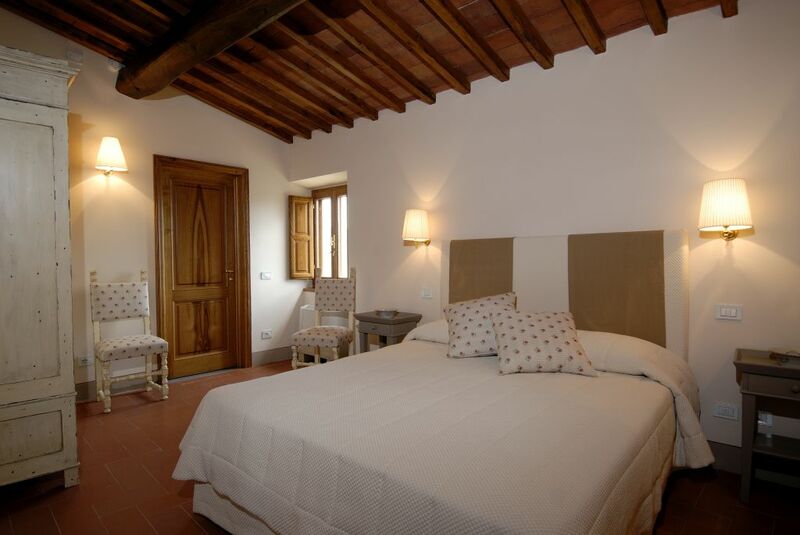 Situated in a stunning Vicchiomaggio castle in Chianti REGION. The ‘Canonica House‘ used to be the parish priests residence, now restored into a luxurious country suites. Spacious and light rooms and common spaces with fridge and tea kitchen. The castle is surrounded by lovely gardens and there is gorgeous infinity pool at the guests disposal. Originally a medieval castle, later on constructed a Renaissance villa. Light colours, charming interiors. History and tradition without dust and ghosts! Wine. Exploring Chianti Classico area and tasting gorgeous Chianti wines. 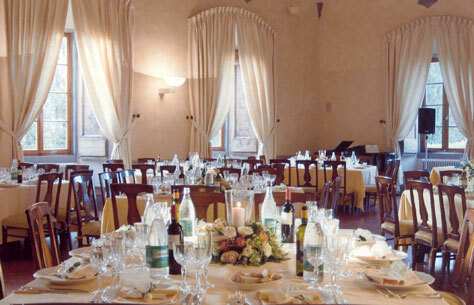 The castle produces wine, olive oil and has a restaurant in the main hall of the castle. Wine Tours and Cooking lessons on request. 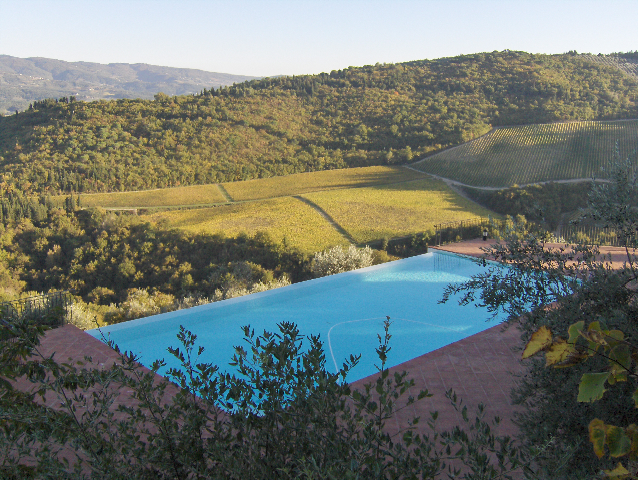 Situated only 4 km from the largest of Chianti villages, Greve in Chianti, only 20 km south from Florence. High up on a hill with great views to the golden vineyards and rolling hills. Classic Room: € 159,00 per night. Superior Room: € 185,00 per night.